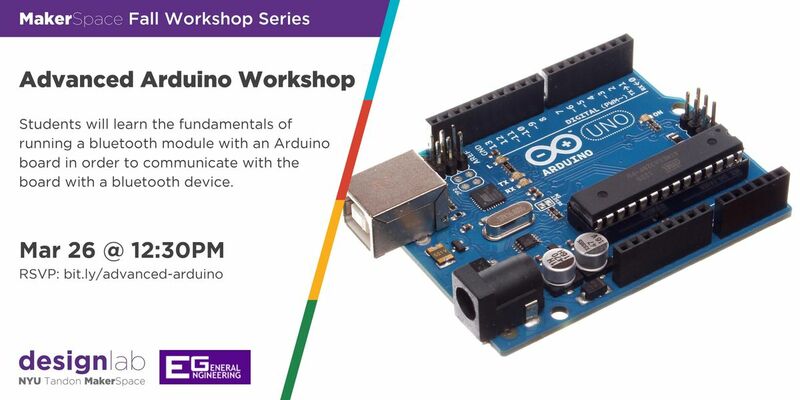 Students will learn the fundamentals of running a bluetooth module with an Arduino board in order to communicate with the board with a bluetooth device. 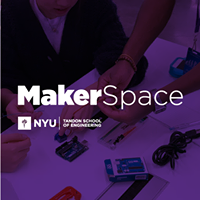 This workshop is organized by TAs from the General Engineering department at NYU Tandon School of Engineering. 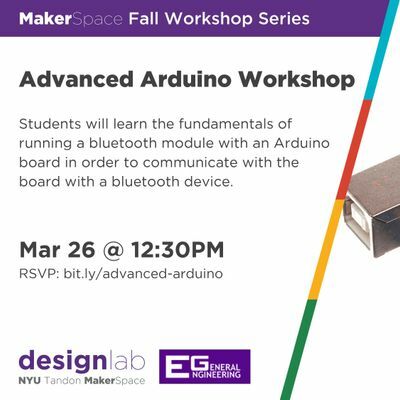 Note: This workshop is open for NYU students only.